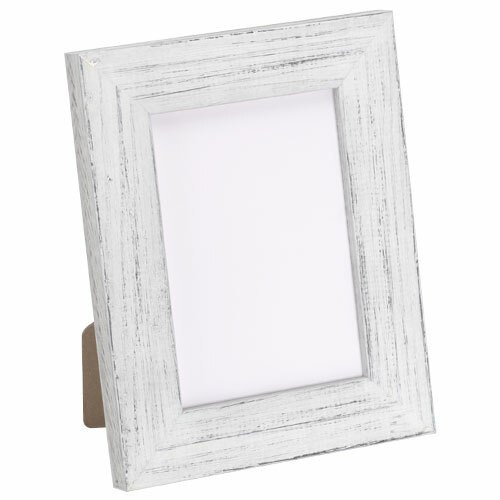 Frame your favorite family photos in the rustic white tabletop picture frame. 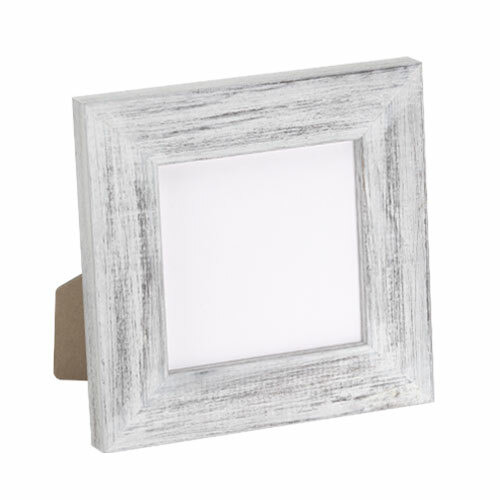 It has a simple, squared profile with a distressed finish for a farmhouse style. It’s a bright photo frame, kid’s art frame or Instagram frame. Handmade by our Artisans from natural wood grown in sustainably managed forests, it’s an eco-friendly choice. Can you hang the frame on the wall? BEST ANSWER: I did. I just removed the backing/easel/glass, used the existing tabs to hold a painting on board to the frame on the back, and screwed in a couple of d-rings to hang it. Hi Asaro. These are table top frames only. We do offer the wall option with our BP3, and 3BPW. Thank you! I have 6 - 8 x 10 photos to frame. Is glass included? BEST ANSWER: We don’t sell glass for frames, we sell picture-frame quality acrylic which is plexi-glass. We have acrylic available in Classic Clear, Non Glare, Premium 3/32" and UV Protectant. 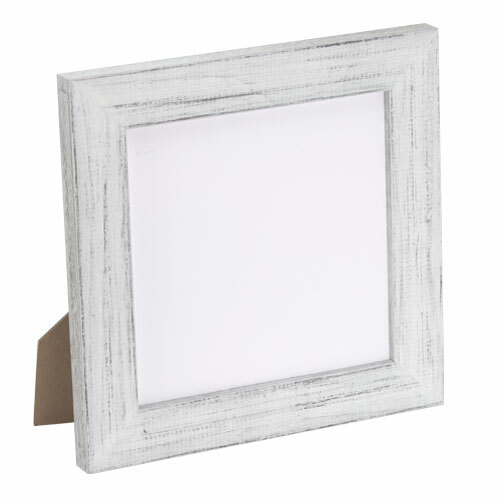 Why can't I find a 6x6" tabletop picture frame retail? Thank you for your inquiry. 6"x6" isn't a standard size for a tabletop frame, which is why you are having difficulty finding it, but we can happily make you a frame at that size on the custom product page. If you search BP3 you will be taken to the custom product page and you can request any size you need. If you have any additional questions do not hesitate to contact our friendly framing experts at 1-800-332-8884.
will my 8x8 canvas prints fit in this 8x8 frame? BEST ANSWER: Hello! Thanks for reaching out to us. Yes indeed. 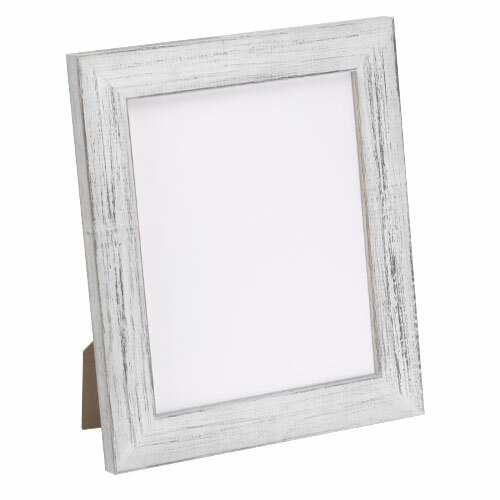 This 8"x8" Frame will work fine with you 8"x8" canvas. The depth o the frame is 1/2". Please make sure your canvas is compatible with the frame's depth. If you need additional assistance, please let us know. Happy Framing!